Seasonal catalogs feature the newest church bulletins, communion supplies, church banners and a wide range of church supplies. Browse through the catalog online, or request a copy to be mailed to you right away. Request a FREE copy of our seasonal catalog, featuring hundreds of church supply items for Spring, like seasonal and general bulletins, fresh palms, Communion ware, offering supplies, banners, clergy apparel, Bibles by the Case and more.Catalogs are shipped right away. 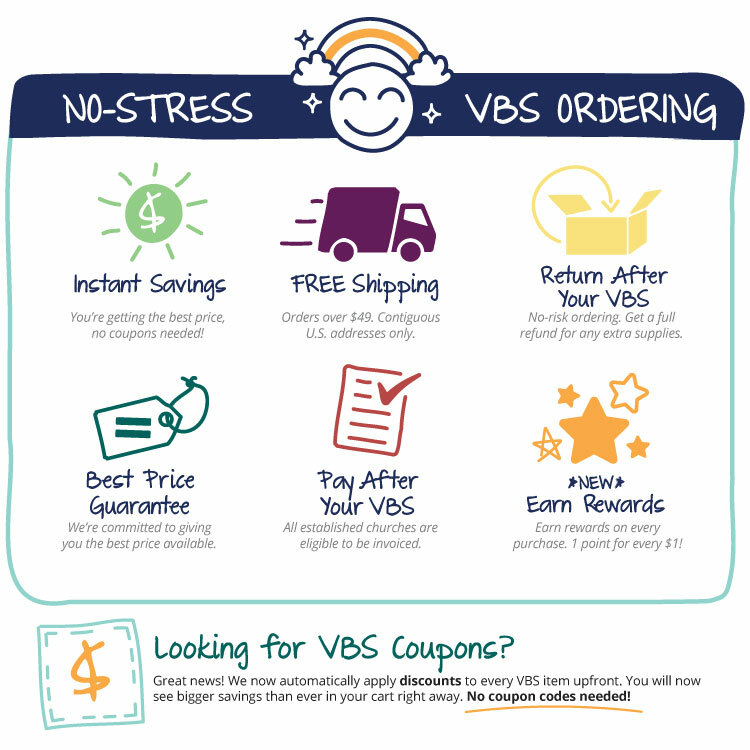 Our FREE VBS Guide contains helpful information on every VBS 2018 Program. Perfect for VBS Directors and church volunteers looking for their next VBS. Contains complete catalogs for each course, order forms, exclusive special offers and more.